A strong clip holds notes firmly and securely. The classic in the USA. Now available in the UK. 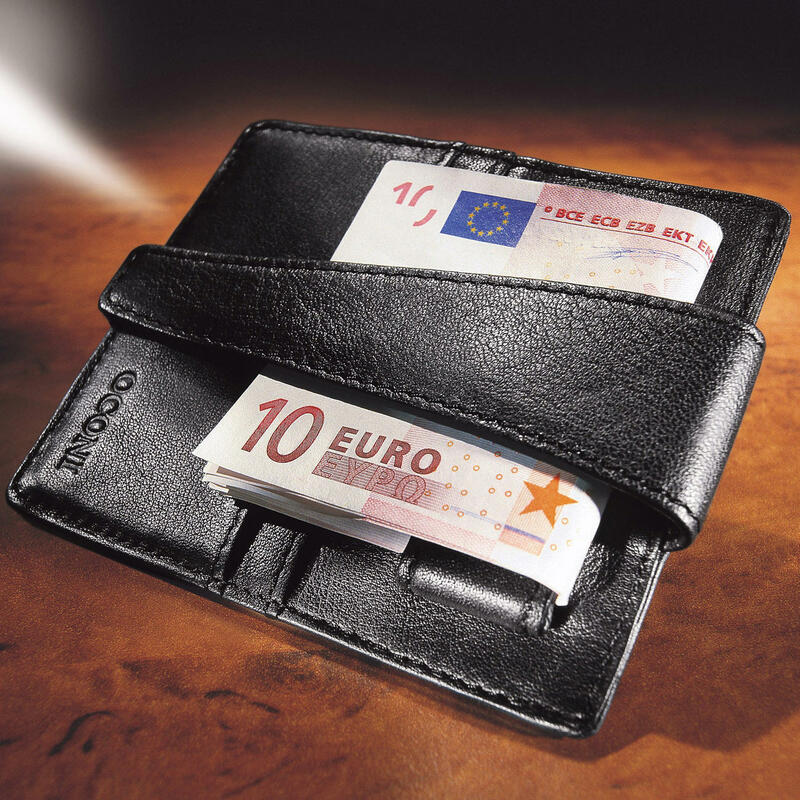 This handy leather wallet with note holder is very popular in America. 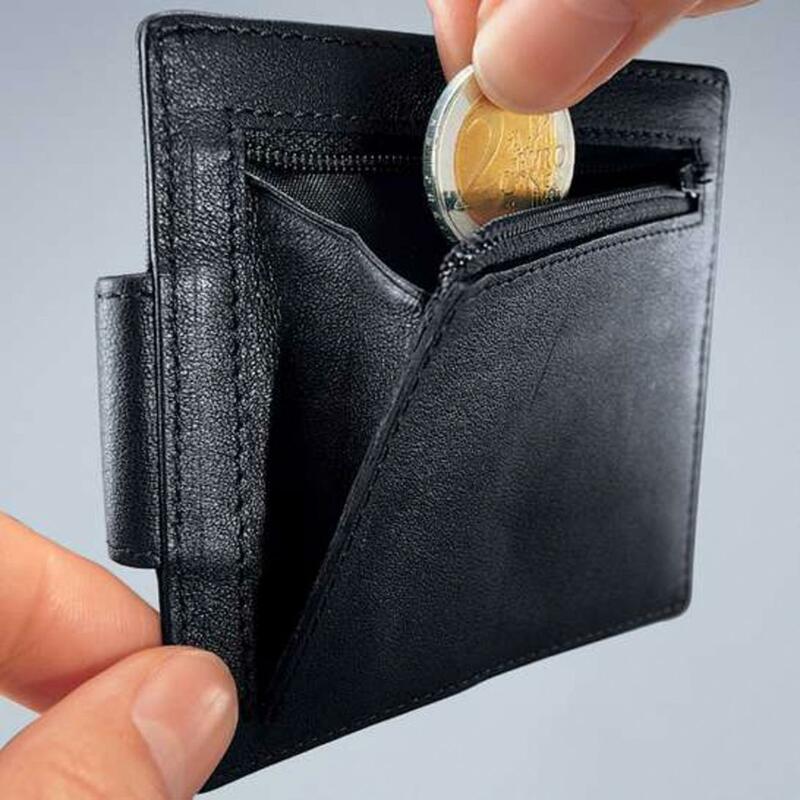 Its slim size means that you can store it away easily and comfortably deep within your trouser pocket. 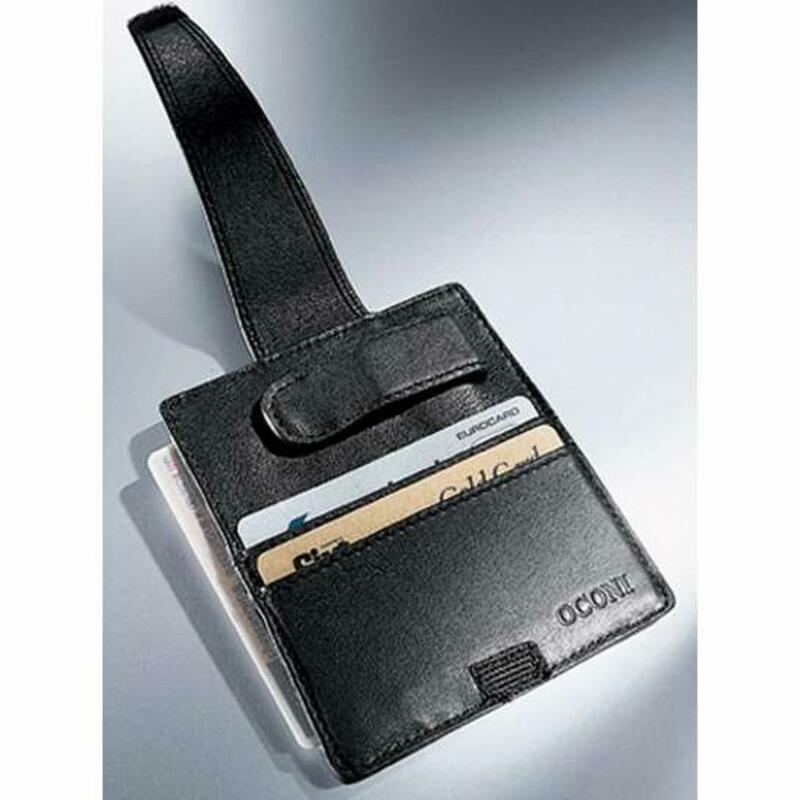 And a narrow, leather strap holds the notes tightly together. Two credit card compartments; 1 compartment for driver licence and identity card, rear zipped compartment for loose change or keys. Fine, yet hard-wearing, black cowhide, carefully made to last. Suitable for virtually all sizes of notes. Measures just 11 x 9.5 x 1cm (4¼" x 3¾" x ¼") (L x W x H), weighs 44g (1½oz). Even comfortable in close-fitting trousers. Quality product from Oconi. Exclusive to Pro-Idee.